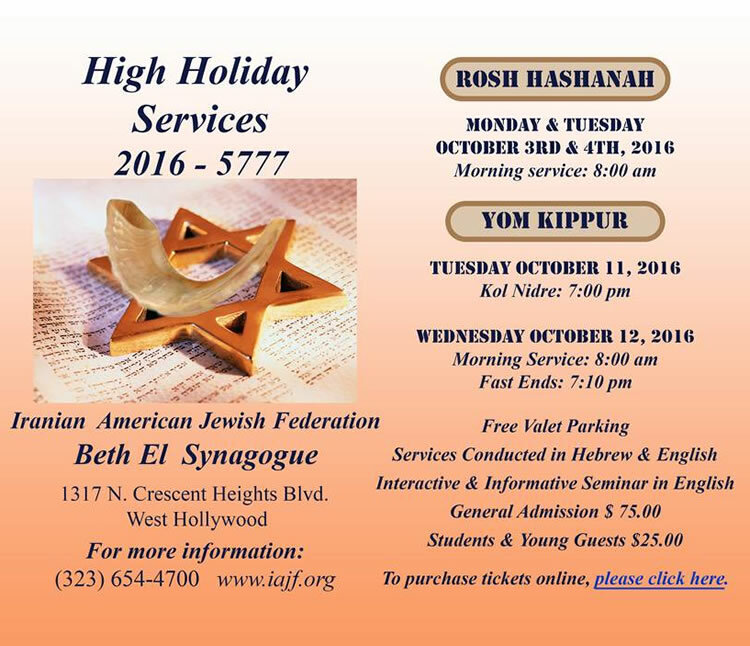 Yom Kippur services, October 11 & 12 . Ticket purchased includes both Rosh Hashanah & Yom Kippur services admission fee. Speech and seminars in English. At Iranian American Jewish Federation. Beth El Synagogue , 1317 N. Crescent Heights Bl. information: (323) 654-4700 .